If the Toronto Blue Jays are going to compete in 2019, they’re going to need a little good fortune. The Jays are hopeful that some of that good fortune comes from starting pitcher Matt Shoemaker. On Friday, the Blue Jays signed Shoemaker to a one-year deal worth $3.5 million. Shoemaker will take up one of the vacancies in Toronto’s rotation and could become an important part of the team’s pitching staff next season. 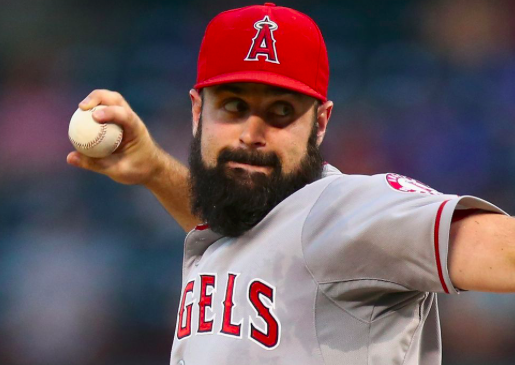 Shoemaker was a late addition to the free agent market after the Angeles declined to offer him a contract for 2019. Injuries have held back Shoemaker the past couple of seasons, something that has become a common occurrence for the L.A. pitching staff. Not wanting to risk another injury-plagued season from Shoemaker, they let him go. Now their loss is Toronto’s potential gain. Forearm issues have limited Shoemaker to 21 starts over the past two seasons, 14 in 2017 and seven this past season. However, he spent the previous three seasons as a key member of the Los Angeles rotation. Between 2014 and 2016, Shoemaker won 32 games. When healthy, he’s proven to be a solid mid-rotation starter. If he can reach that level with the Blue Jays, Shoemaker will be a valued member of their rotation. Despite making just seven starts last season, Shoemaker was able to return in September and made six starts to close out the season. He managed just 25.1 innings over those six starts while posting a 4.97 ERA. Obviously, those numbers aren’t great. But those starts did show that he was healthy, which is a good sign heading into 2019. As long as he keeps his ERA under 5.00, Shoemaker will be well worth his salary for next season. As mentioned, Shoemaker will fill one of the empty spots in Toronto’s rotation. Marcus Stroman and Aaron Sanchez will headline the rotation, giving the Blue Jays star potential at the top. Ryan Borucki will also be guaranteed a spot after a breakout season in 2018. That means Shoemaker will only have to serve as a back-end starter. As long as he stays healthy, the Blue Jays should be satisfied with what they got out of him. Obviously, there is a fair amount of risk in signing a pitcher with Shoemaker’s injury history. However, at $3.5 million with the option of tendering him a contract in 2020, the Blue Jays aren’t making a big financial commitment. Shoemaker also has a fair amount of upside if he can stay healthy. In that sense, this is a nice pickup for the Blue Jays as they try to piece together the back half of their starting rotation.